Covering Bristol, Swindon, South Gloucestershire, Yeovil, Shepton Mallet, Marlborough and Frome. Here at Fun Science we have tons of experience of making science fun and are available to run workshops for primary schools, but can also adapt them for other organisations. Our sessions can be used to kick off a science week, help consolidate a topic or simply to give children a brand new experience. Our wide range of equipment and enthusiastic presenters mean that your group will gain a completely new experience. Chemical and physical reactions – exploring reversible and irreversible changes with slime making, foaming potions, a giant lemonade fountain and colour changing liquids. It’s Electrifying! – Looking at different types of electricity, making a human circuit, sticking hair up in the air with our amazing Van de Graaff generator and even making electricity inside. Science of sweets – This session focuses on carbon dioxide and how it is used to make fizzy drinks and sweets. Children will be making their own sherbet to take home and even seeing how candy floss is made. Human body – This is one of our most disgusting sessions (and one of the most popular!) with poo making, mucus mixing and looking at a real heart. Children will also have a chance to test their heart rate with some high tech equipment including stethoscopes and a pulse oximeter. Explosive science – Children will be investigating the difference between an eruption and an explosion and creating their own. They will also make their own explosive rockets to take home and take part in a giant rocket launch. Volcanos and Earthquakes – Using our range of equipment we would explore how pressure can build up to create explosions, see how a build up of heat underground can cause a volcano and use chocolate to simulate an earthquake! Children will make their own explosions and manipulate their own tectonic plates. Each workshop is suitable for 10-40 children and can be adapted to suit key stages 1 (ages 4-7), 2 (ages 7-11) or 3 (ages 11-14). £160 for one 55 minute long workshop with one class. £140 per workshop when booking two in one day. £110 each when booking three or more workshops in one day. With any number of workshop bookings we would be able to offer a free 15 minute assembly for the whole school to kick the day off! Got an enquiry or want to find out more? 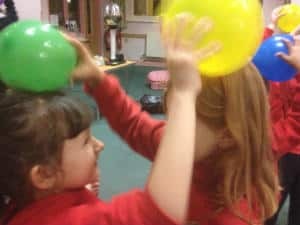 Email bath@fun-science.org.uk or call 07708 214840. Not based in Bath? Click here to find your nearest branch.